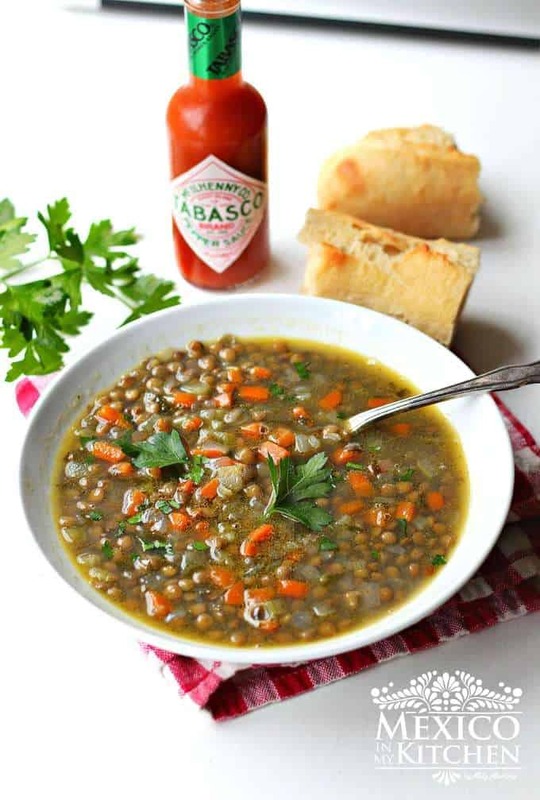 You are here: Home » Lentil Soup, easy & comforting! 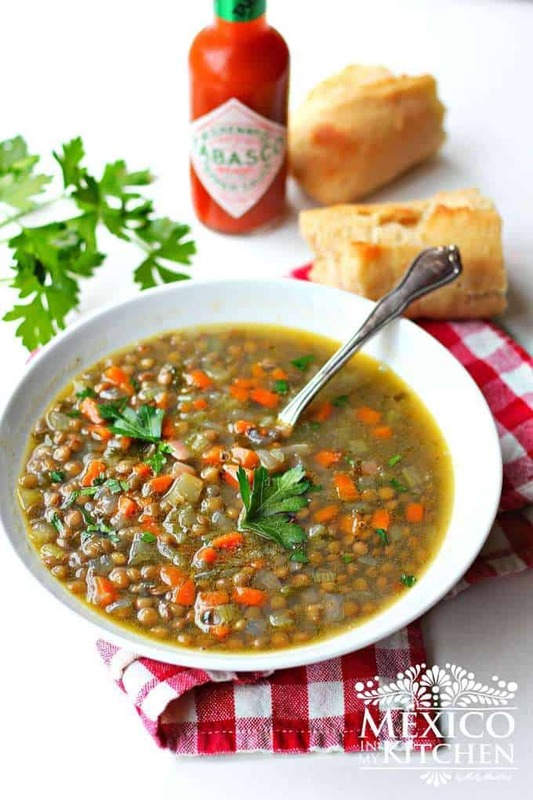 Your family will love this easy lentil soup so much, they’ll be asking for a second serving! At home, my husband loves soups, and this lentil soup is one of his favorites (along with Chorizo Lentil-Soup). It uses just a few simple main ingredients, but the end result is full of flavor! In Mexico, lentil dishes are very popular during the Lent Season, and they’re a favorite among people trying to keep with their meat fasting during the Holy Week. 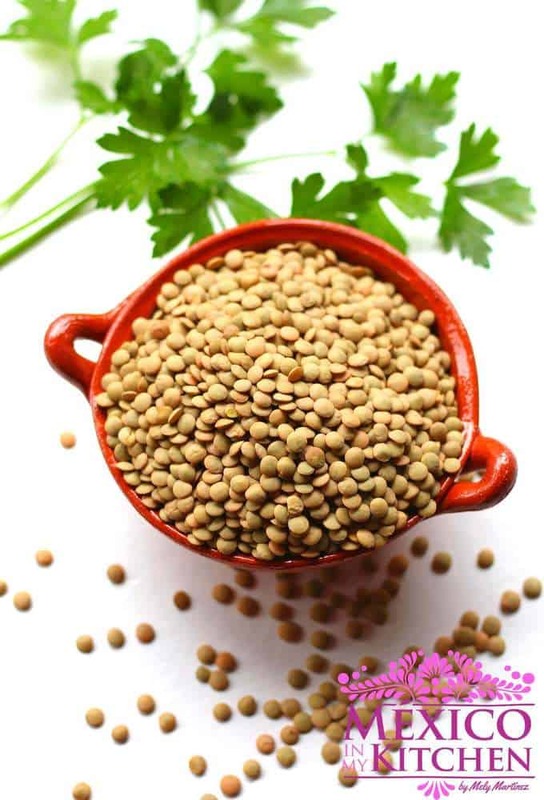 Lentils have a high protein content, making them an excellent meat substitute. This dish has a lot of Spanish culinary influence. The American Conquest served to enrich so much of our cuisine, and the Spanish brought with them many ingredients that we use in our dishes every day. Some of these including carrots, radishes, chard, spinach, asparagus, purslane, celery, peas, wheat, millet, lentils, oats, beans, rice, cinnamon, cloves, ginger, garlic, and pepper. They also brought with them animals like goats, ducks, pigs, etc. All these ingredients would change the way the native Mexicans cooked over time, and our cuisine wouldn’t be what it is today without them. I remember when I was growing up how the housewives used to go to the market every day to buy the meat and vegetables for the day’s cooking. Yes, every day! No wonder the meals our grandmas used to cook tasted like heaven! Everything was fresh, and like so many chefs still do nowadays, the home cooks back then bought their ingredients the same day they prepared them. I’m not saying that you have to go out and do the same, but just make sure that you have quality ingredients. I promise you, your family will enjoy that! Add the celery and carrots and cook for 10 minutes at a lower temperature. Stir in the drained lentils, 6 cups of chicken broth, and the parsley. Bring to a boil and then reduce the heat to simmer. Cook for 25-30 minutes. Season the soup with salt and pepper. Serve your Lentil Soup in small bowls, add a few drops of lime juice, and enjoy! 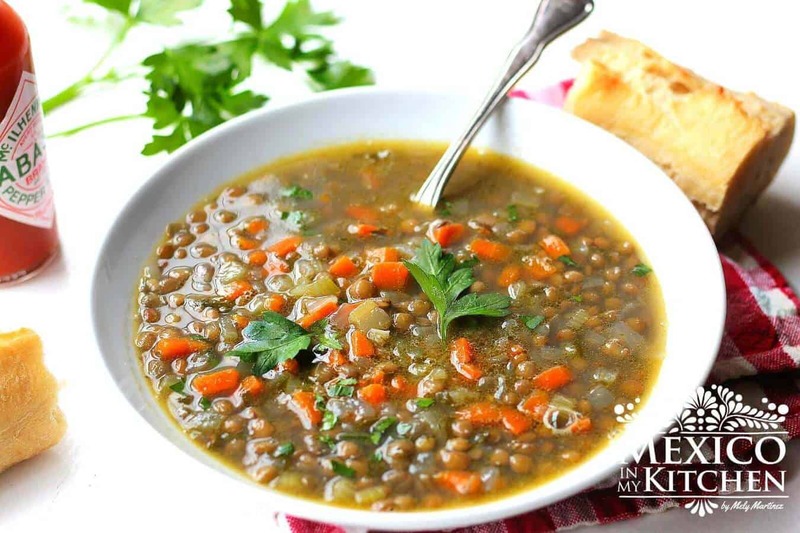 Your family will love this easy lentil soup so much, they’ll be asking for a second serving! At home, my husband loves soups, and this lentil soup is one of his favorites (along with Chorizo Lentil Soup). It uses just a few simple main ingredients, but the end result is full of flavor! Heat olive oil in a saucepan and sauté the onions and garlic for 5 minutes over a medium heat. 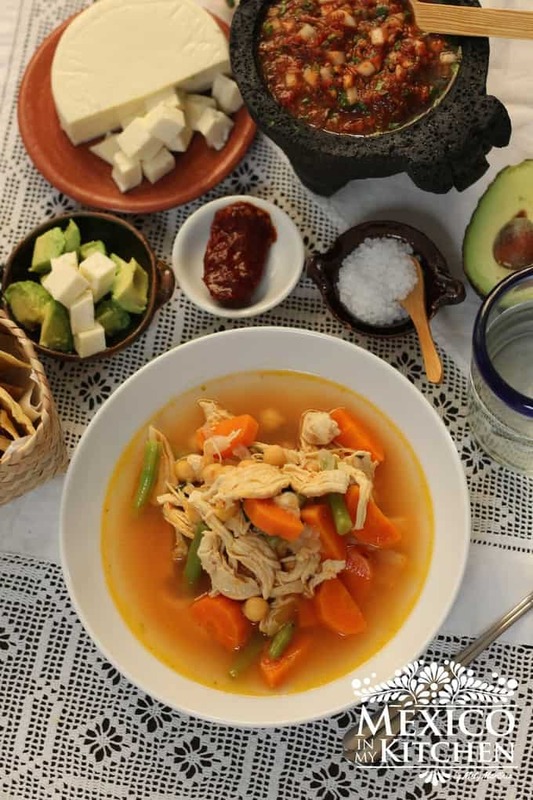 Homemade chicken broth is the best choice for making this soup, but you can substitute it with 6 cups of water and 2 chicken bouillons. In Mexico, people used to cook with Spanish olive oil, and some still do, but these days Italian olive oil is becoming more popular. The lentils, it says washed and rinsed but then in the recipe it says drained. I’m assuming it doesn’t have to be soaked or cooked in between? You are right, you don’t need to soak them before you cook them. Just rinse and drain well before adding according to the instructions. i made this last week and it’s delicious and easy. Thank you for all your tasty reciepes!